Last week, Austin experienced some super odd weather. Not only did it rain eight days in a row, but we also set a record low for August. Crazy town! Because of the rain, I was stuck indoors more than usual. I had more time on my hands than I expected, so I realized I could have a little fun in the kitchen. Usually, I avoid turning my oven on as much as possible in the month of August, but the cooler weather opened up the possibility of baking. I may be the only one that this happens to, but sometimes I have an itch to bake. I don’t mean in a “man, I should really bake something” kind of way. I mean a “I need to get in the kitchen and bake something right now” kind of way. Is that weird? It ends up turning out well for my husband and my coworkers:). Regardless, that’s how these lovely whole-wheat chocolate chip muffins came about. When I’m not making a full-on dessert, I try to make baked goods as healthy as I can without losing any flavor. For these muffins, I opted to use honey instead of white sugar. Outside of the chocolate chips (who can resist chocolate? 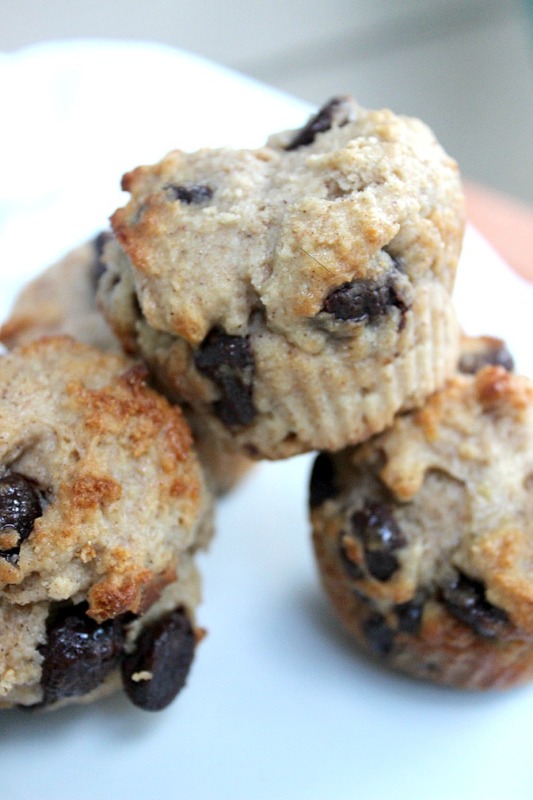 ), the muffins are totally naturally sweetened. I also subbed in whole-wheat flour instead of using only all-purpose flour. Finally, the muffins have plain Greek yogurt and coconut milk to bind the whole recipe together. 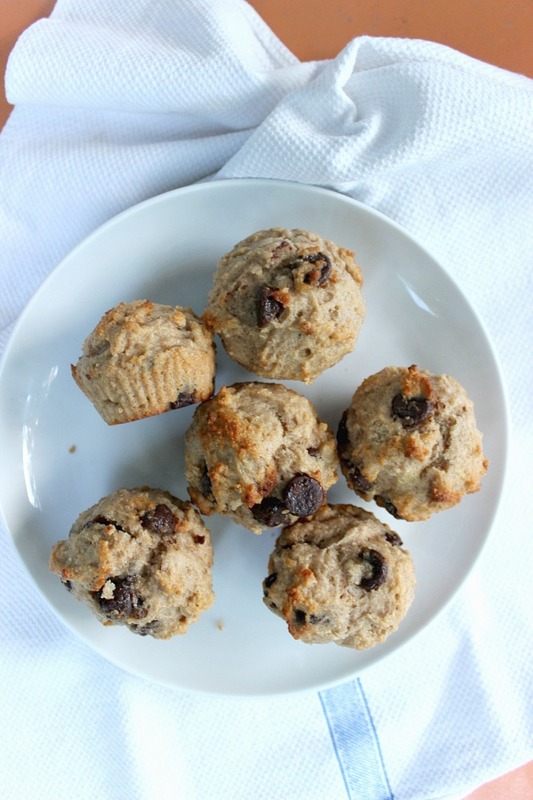 These whole-wheat chocolate chip muffins were a healthy treat success! If you have the urge to bake, these lovely and healthy chocolate muffins can be your next adventure in the kitchen! Preheat your oven to 350 degrees and prep a muffin tin with muffins liners. Set aside. In a large bowl, combine all dry ingredients. Whisk to combine. In separate medium-sized bowl, combine eggs, yogurt, honey, vanilla extract, coconut milk and melted butter. Stir to combine. In three batches, add the wet ingredients to the dry ingredients. Whisk to combine, but be careful not to over mix. Finally, add in the chocolate chips and stir until just combined. Pour the batter in each muffin tin until each tin is ¾ full. Bake for 18-20 minutes or until golden brown. 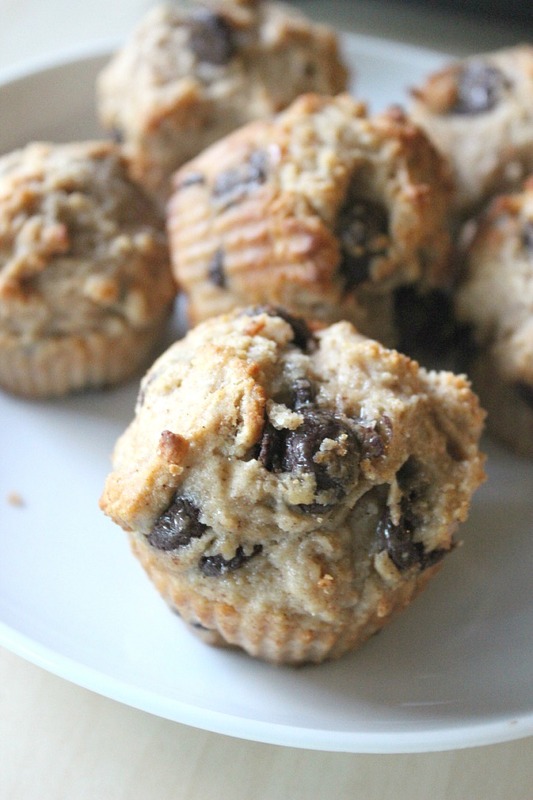 Repeat the baking process with a second batch of muffins. Serve immediately or store in fridge for 4-5 days.